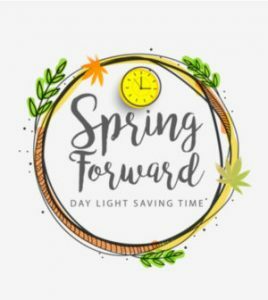 Sunday, March 10th set the clocks ahead one hour! IMPORTANT: Be sure to change all batteries in your Smoke and CO Detectors too! !